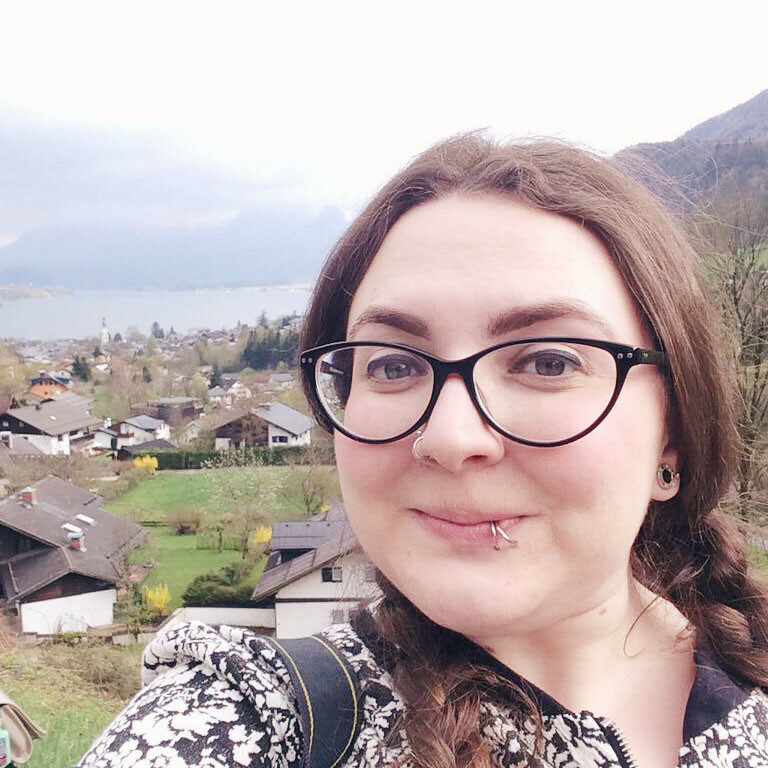 This weekend, Rich and I visited both Bath and Bristol. 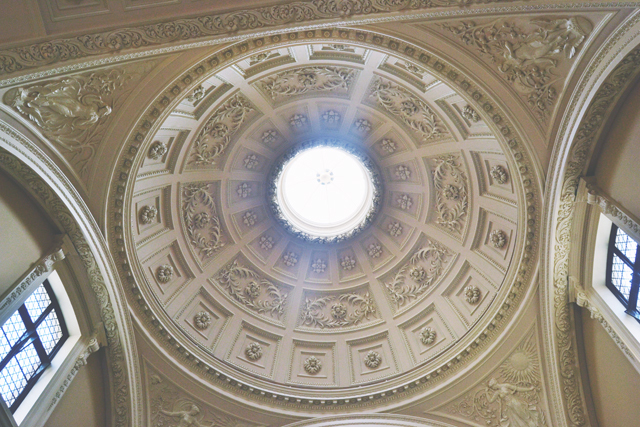 I've been to Bath once, as a 17 year old looking around the uni, and have wanted to go back for a day trip ever since. 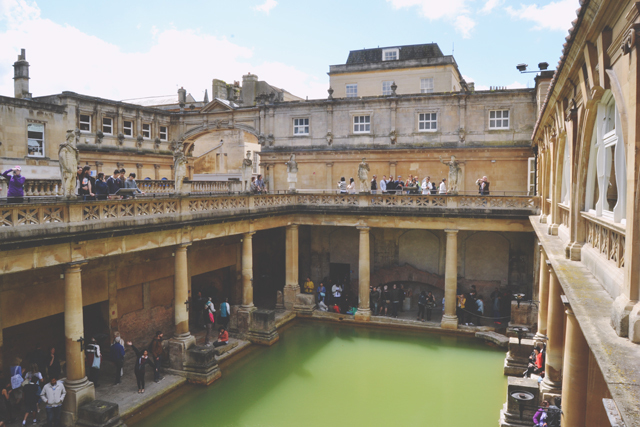 As we were heading to Bristol this weekend, we thought it would be a good idea to stop off at Bath first (just one stop away on the express train) and explore the city before continuing on our journey. We were only in Bath for 4 hours, but we managed to pack so much into our visit. 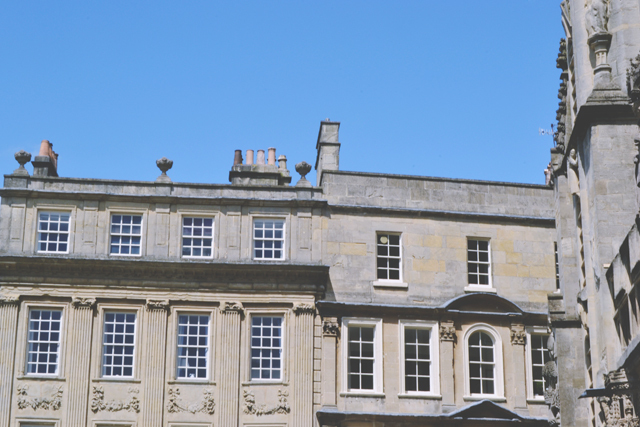 To avoid this post becoming too long and photo-heavy, I'm organising it into three parts: The Roman Baths, Bath Abbey and Bath Fashion Museum. 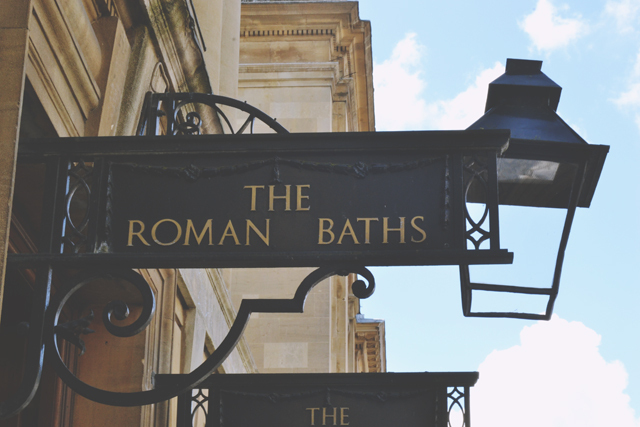 There was a bit of a queue to get into the Roman Baths, but it was only about 10 minutes long and we had the beautiful architecture of Bath to keep us happy while we waited. 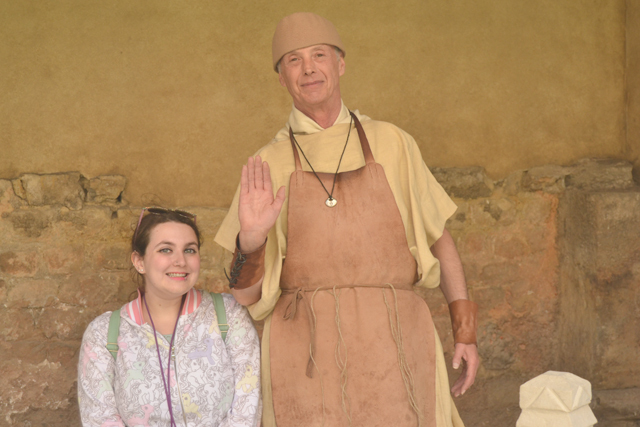 We took full advantage of the free audioguides, which had so much information that it was impossible to listen to it all and still fit in everything we needed to do! They're definitely worth picking up on your way in. Luckily, it was a beautiful sunny day, and the water looked so beautiful and tranquil with the Roman column reflections. I was surprised by how warm the water was. 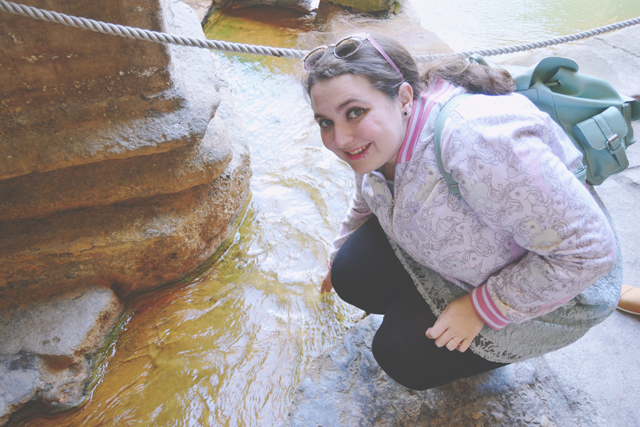 It gave me quite the shock when I dipped my fingers in the flowing spring. Chilling with my mate, the Stonemason. He was a very funny man and, when he said goodbye, called after us "I hope you have a good day! And your slave too!" Sounds about right. Poor Rich! 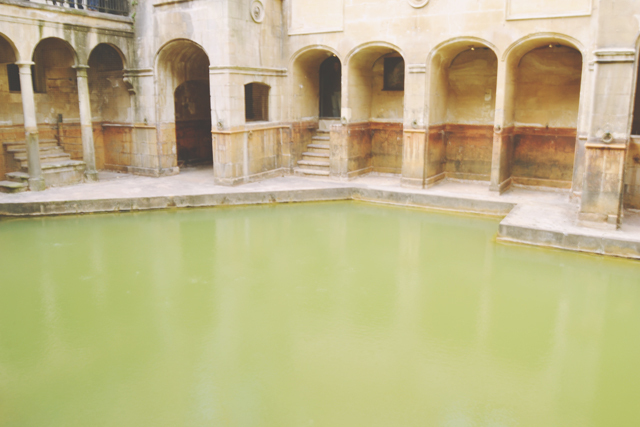 The King's Bath was my favourite. Look how peaceful and serene it looks. You could see the steam rising off the surface and the spring bubbling in the centre. Although it looks beautiful, the sulphur gave it a very strong smell of eggs! 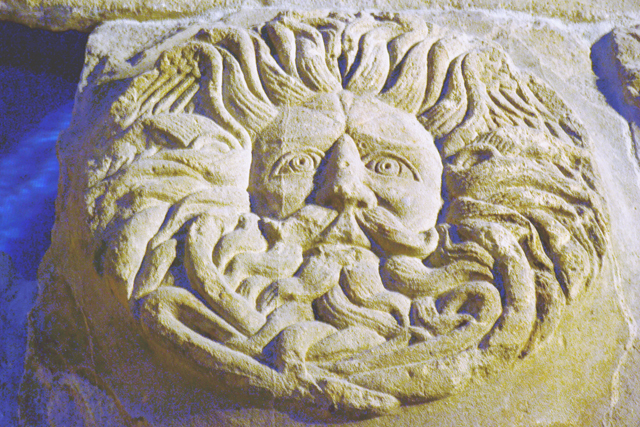 This face is the centrepiece of a pediment, discovered in 1790, that would have been located close to the Sacred Spring. Nobody knows who the man is. Many suspect he is a gorgon, but in Roman mythology the gorgons were female. Others believe that he may be a Celtic god. 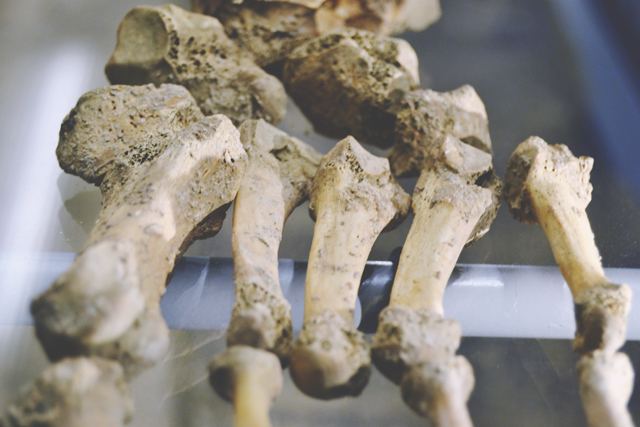 There was a skeleton in the museum, which made me very happy. I do love a good skeleton in a museum! 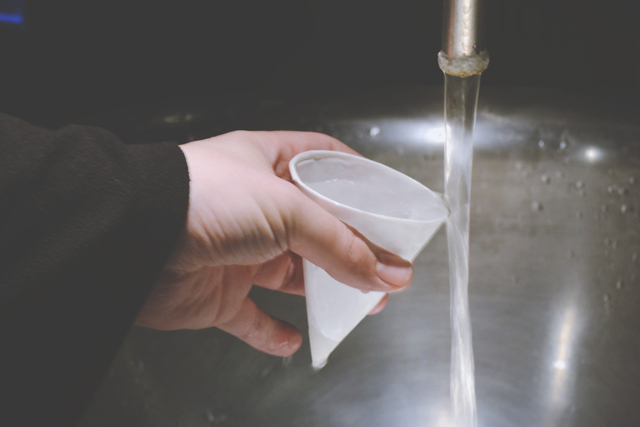 At the end of the visit, there is the opportunity to taste water fresh from the spring. It was not what I was expecting at all- Very warm and with a taste of iron. Not very pleasant! 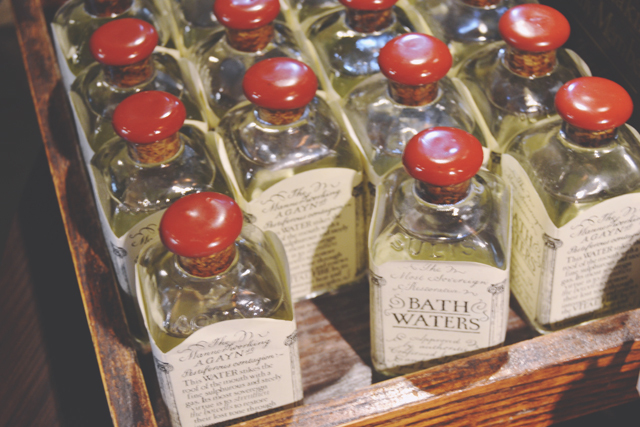 There are also bottles of bath waters available in the gift shop. They were once believed to cure ailments such as deafness, lethargy and forgetfulness. As pretty as the bottles are, I'm not sure I could justify paying for some water! 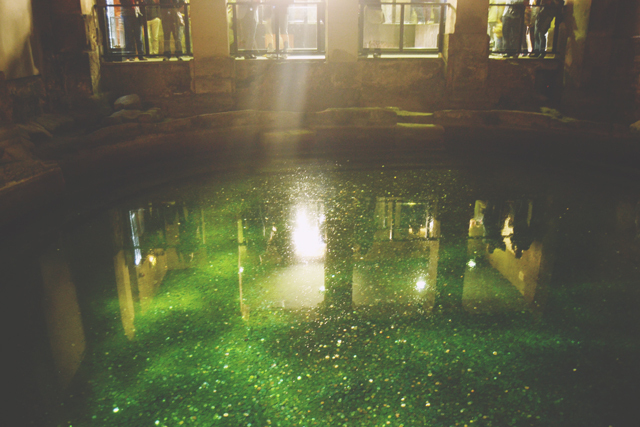 I fully recommend the Roman Baths to anyone who is in the Bath area- It was a truly wonderful visit! Ahhh I work in Urban Outfitters in Bath! Bath is such a lovely place to be!! It would be amazing to meet you and go for tea! Oh, I walked straight past Urban Outfitters! Wonder if you were working at the time? Next time I'm in Bath, I'll let you know! I've been wanting to visit bath for ages, I might have to take a day trip when I go home in the summer! You definitely should pay it a visit! I was only there 4 hours but managed to do so much; Everything's really close together. I;ve wanted to visit here for years but haven't quite made it yet! You should definitely visit when you get a chance!